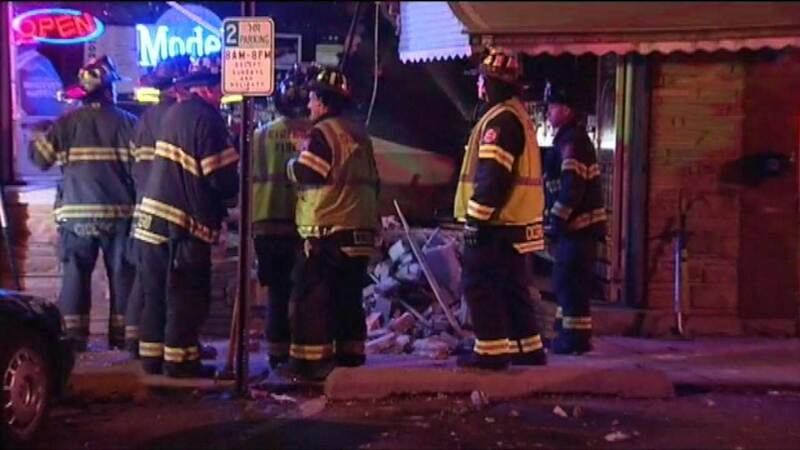 CICERO, Ill. (WLS) -- An SUV crashed into a west suburban Cicero bar early Thursday, leaving one person injured. Crews worked overnight to make sure the Gold Cadillac Lounge in the 5500-block of W. 22nd Place didn't collapse. A source says it appears the driver may have hit the gas instead of the brake. The crash knocked over the front wall. A neighbor says they heard the crash, then went outside to see a black Ford Explorer backing out of the bar. "I was in the living room, and out of nowhere I heard a big crash. It sounded pretty bad, pretty hard, and I just heard the lady screaming," the witness said.